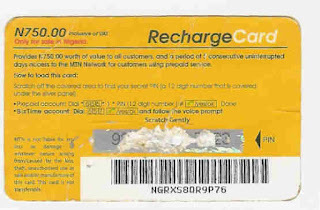 I know each and everyone of us must have in one occasion or more mistakenly peeled of some pin digit while trying to scratch recharge cards , yes African people always in an hurry to load that recharge card. Some people make use of sand ,others use keys , "lol" quick ways to easily rupture your Airtime card , and you will then be like 'Egbami' my village people are after me ,hahaha. But don't worry yourself , you no longer need to call MTN costomer care agency to help you fix it , as you can do that yourself using MYMTNAPP an providing the serial numbers of the airtime , and the remaining visible card digits and you're good to go. Just simply download the MYMTNAPP Android here and IOS here , log in and select 'Load Over Scratch Recharge Card' option , and enter the details and recover.